On Saturday, UFC 190 will emanate from the HSBC Arena in Rio De Janeiro, Brazil. This event will be bigger than most as the main card will be four hours with seven fights as opposed to the standard three hour show with five fights. This might have something to do with Ronda Rousey finishing her last three opponents in 1 minute and 46 seconds combined, and many expecting her to do the same again, as she looks to defend her title against Bethe Correia. If the main event doesn’t tickle your fancy, then fear not, this card is long on nostalgia via PRIDE Fighting Championship, including what could be a rematch for the ages. The women’s strawweight division gets a boost as arguably the divisions’ number one fighter makes her UFC debut. There are also two protect bouts courtesy of The Ultimate Fighter Brazil and the cherry on top of this combative ice cream sundae comes in the form of a heavyweight slugfest that shouldn’t go anywhere near the distance. 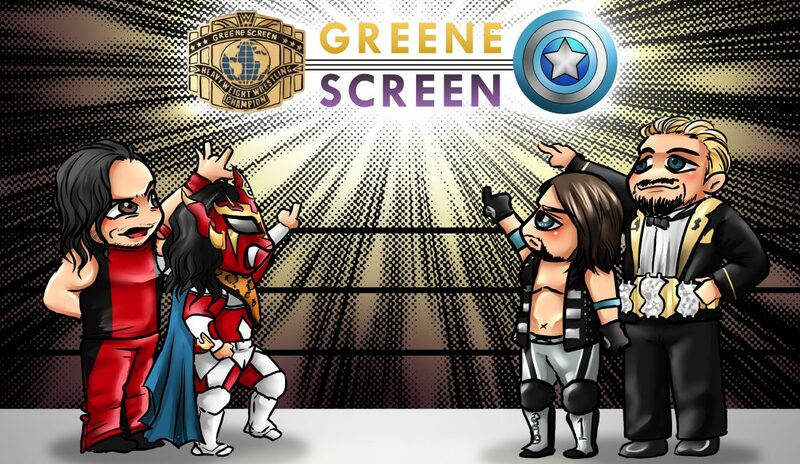 While this card is short on divisional relevance, the entertainment factor, along with the continued rise of a superstar in the making, should make for an action packed evening. This contest between two big heavyweight sluggers has all the makings of a quick and violent affair. Quick might be the key phrase here because Silva’s chin has been highly suspect, suffering back-to-back first round knockouts. He hasn’t been the same since his 2013 war with Mark Hunt that resulted in a draw and the battle was tainted by Silva’s post-fight drug test failure. Since that time, Andrei Arlovski and Frank Mir put him away with punches that didn’t appear to be that hard. Palelei is a tough and durable fighter, more akin to a brawler. While he had some submission wins in the earlier part of his career, the Aussie prefers to trade in the standup realm. Silva’s key to victory could be on the ground as Palelei has shown some deficiencies when needing to get off of his back. This game plan would be sound for the BJJ black belt, but ‘Big Foot’ is too enamored with scoring the knockout which most likely play into Palelei’s wheel house……if he keeps his hands up. Jessica Aguilar has traded in her World Series of Fighting championship for a pair of UFC gloves as she makes her octagon debut. There are some media outlets that have Aguilar ranked ahead of Joanna Jedzejczyk as the number #1 strawweight fighter in the world. Cludia Gadelha appears to have been brought in to lose here as all of the hype is on Aguilar. People seem to forget how Gadelha fought Jedzejczyk to a highly debated split decision. Aguilar is a grinder who uses her wrestling to smother her opponent against the cage. While she has other tools at her disposal, Gadelha is the more aggressive and well-rounded fighter. Aguilar will have trouble holding down Gadelha with consistency. This will lead to Gadelha picking her apart with knees and punches inside the pocket for a third round finish. This is a battle of the walking wounded. Nogueira is shop worn due to the many legendary battles he’s endured over the years in PRIDE and UFC. Struve is only 27 years old, but he has suffered a litany of health problems that has him on the verge of being damaged goods. Struve, who stands at 6’11, fights at close range more often that he uses his length to fight long. This would normally bode in Nogueira’s favor, because he is exceptional in the clinch. However, the former heavyweight champion’s durability has run its course. This is a difficult fight to call, and perhaps, for all the wrong reasons. It’s hard for fighters to realize that they no longer have the magic they once possessed. If Nogueira still thinks he can stand and bang with the best of them, he will be counting the lights inside the HSBC Arena. While MMA diehards yearn for one more glorious outing from Big Nog, recent history dictates that this shall not some to pass. Struve should be able to pick his shots against Nogueira on the feet and endure any danger on the ground to earn a stoppage late in the first frame. The Ultimate Fighter: Brazil Season 4 gives us a lightweight finale that hasn’t gained much fanfare. Moreira is the unknown entity in this match up while Bruno is riding a four fight win streak. Moreira is the much bigger fighter, and has strength and youth on his side. Bruno is the more diverse fighter, and his experience and heart should be enough to earn a hard fought, but maybe boring decision. Vieira’s fighting style is reminiscent of Wanderlei Silva during the later stages of his career. He is very aggressive but that has cost him on a few occasions. Dileno Lopes has more technique, more experience, and he ridiculously calm which helps him control the pace of the bout more often than not. Lopes will control the fight after setting up offense from the clinch, which will lead to victory. If you have UFC Fight Pass, it would serve you well to access the library and watch the first Nogueira / Shogun fight at PRIDE Critical Countdown 2005. It was a skilled and hellacious battle where Shogun ended up earning a highly argued unanimous decision. While there was no robbery that evening in Japan, it’s clear that this was just one of those encounters that can make a judge’s job miserable. Shogun went on to win the PRIDE Grand Prix and become one of the most dominant fighters in the division while Nogueira remained that middle-of-the-road gate keeper. However, what if fate went the other way that faithful night, and Nogueira walked away with the decision? Perhaps, MMA fortunes might have reversed themselves. Today, in 2015 both of these warriors are on the back end of their respective careers, however, Shogun has a little more left in the tank. While Shogun was knocked out in his last two fights, those shots came, and it takes an overwhelming shot to put him and keep him down, something Lil’ Nog can no longer produce. Shogun has a more varied arsenal at his disposal to earn a KO in the later stages of the bout. Right now, Ronda Rousey is the it girl of professional sports. She is breaking down barriers, appearing on magazine covers, and winning awards left and right. With an undefeated record and an impressive array of finishes on her résumé, can the “Rowdy” one be stopped? Bethe Correia has brought more attention to this bout than most. Instead of trying to convince everyone that she can simply out skill Rousey, Correia has publicly targeted the champion with unfavorable remarks. The “Pitbull” added insult to injury when she bragged about defeating two of Rousey’s friends, collectively known as the Four Horsewomen, and called out the champ after each victory. 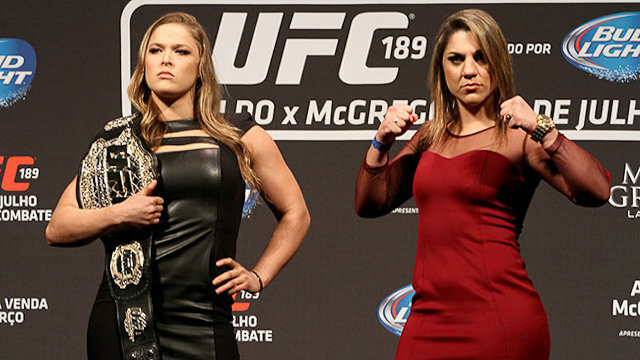 Honestly, it’s very difficult to picture Correia holding the belt up at the end of the evening. Rousey is bigger, faster, stronger and better than her in almost every aspect of the game. The “almost” part is due to the striking game where Rousey is no slouch, but Correia has a technical advantage. However, Correia relies on volume of strikes to wear down her opponent over time, time that she will not have due to Rousey’s aggression and precision with her takedown game.